Tehran’s main gold bazaar is usually glittering with precious baubles and jewelry fit for royalty, but the last several days have seen it shuttered and empty as the union of goldsmiths and jewelers strikes against a 3% value-added tax. 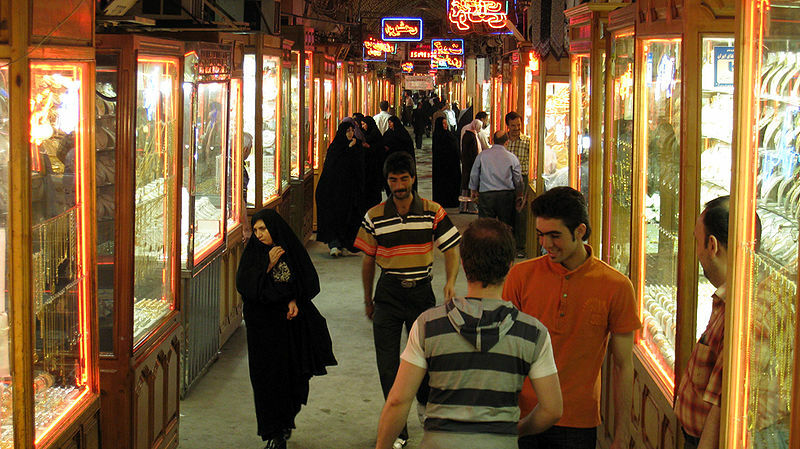 The strike appears to be affecting the retail and wholesale gold markets of Tehran’s main bazaar as well as the markets of other Iranian cities like Esfahan, Mashhad and Tabriz, but not non-union jewelry stores outside the bazaars. The government’s economic committee issued a statement condemning the strike against the tax, which, it claims, will eliminate illegal transactions and money laundering in the gold market. “We, the members of the committee, support the law and the stance of tax office and ask the intelligence bodies and judiciary branch to recognize the certain goldsmiths who are impeding the execution of the law and punish them strictly with maximum penalty and review their documents and accounts thoroughly and levy the tax up to the last cent,” the statement said. 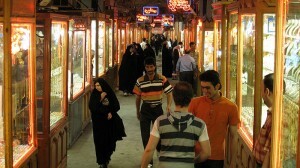 Many Iranians view the melodrama as part of the negotiating tactics used by both the Iranian government and the powerful bazaar merchants. Earlier this summer, bazaaris selling everything from garments to shoes to gold used similar tactics against a proposed 70% increase in their income tax. Some complained that the bazaar strikes are about money, not principle, and that wealthy merchants enjoy political protection that teachers and bus drivers do not. In the end, the government caved, but Iran’s economic woes appear far from over.